Galaxy Pool Services is a Veteran owned and family operated, residential & commercial pool cleaning and maintenance service company. 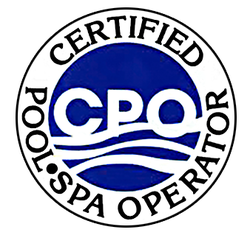 We have been servicing swimming pools & spas in Palm Harbor and the surrounding area for the last 10 years. At Galaxy Pool Services we make it our priority to keep every customer 100% satisfied. We strive to consistently offer reliable service that promotes trust and builds long lasting relationships and our affordable prices help keep you out doing the fun stuff, while we take care of your pool. We are confident that if given the opportunity we will exceed your expectations. Our mission is to provide amazing pool cleaning and maintenance services that our customers appreciate and remember. We accomplish this by offering the highest quality and dependable services at the most affordable rates. Our goal is to provide friendly, reliable, and the highest quality pool service to all of our customers. We take great pride in our service, and treat each customer’s pool as if they were our own. Contact us today and see why our pool cleaning service is out of this world.